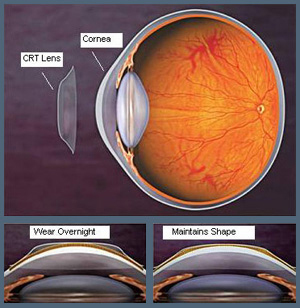 consistently to maintain the desirable corneal form for optimal vision. swimmers because of the freedom from glasses or day-time contact lenses. progression in nearsightedness and emerging myopia with high nearsighted parents. but do not qualify or not favor for laser treatment, Ortho-K may be the perfect alternative. Schedule an appointment with Dr. Chang to determine if you are a good candidate. who are not qualified for LASIK due to thin cornea can be good candidates for Ortho-K.
potential of Ortho-K in myopia control in developing youth. clinical examination, we will be able to discuss with you. changes and vision to through the treatment. most of the employer sponsored medical spending will be able to cover. success. Periodic office lens cleaning is also included. and it also covers all visits within one-year period. helpful in preventing myopia progression.